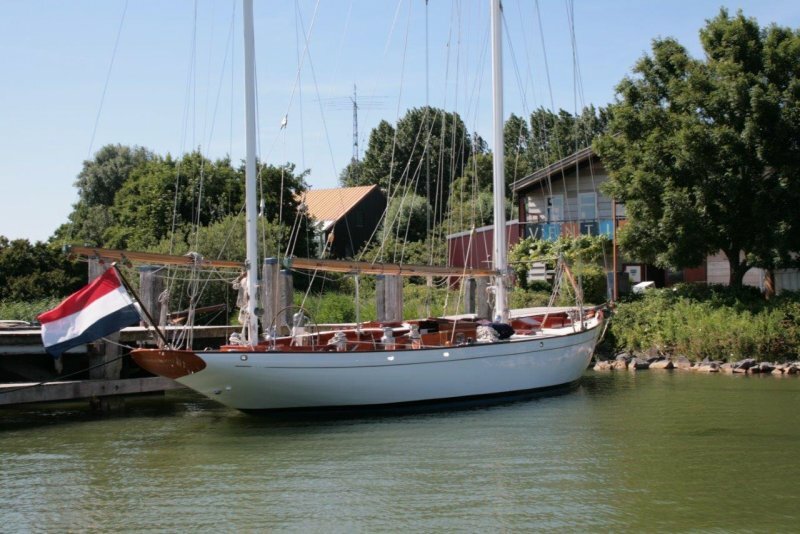 John Alden designed IRONDEQUOIT II in 1940 and she was launched by George Lawley & Son the same year. IRONDEQUOIT II has undergone an extensive restoration in Ft Lauderdale, completed in 2002. Included in the works is all new mahogany planking below the water, re-fastened with silicone bronze screws, the replacement of the majority of frames, and sistering of all frames below the water. The lower stem has also been replaced. The original deck is Port Orford cedar in good condition, and is covered with a new 3/8″ plywood and epoxy laminate. 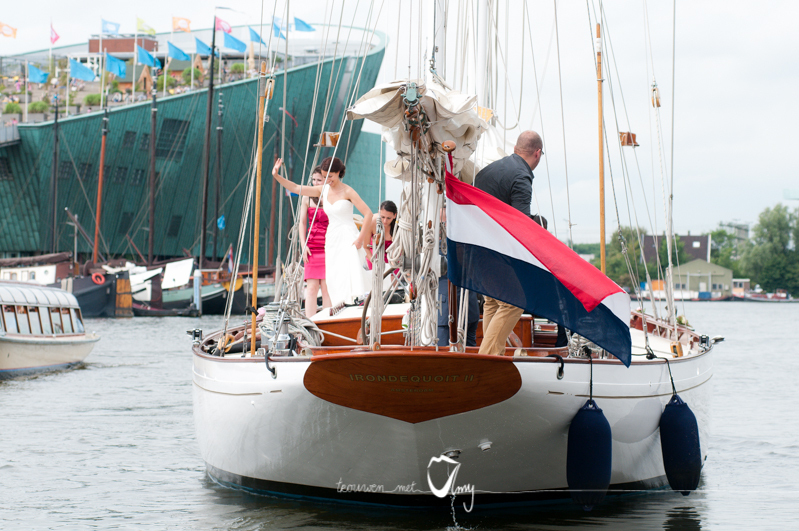 IRONDEQUOIT II is a powerful, easily driven yacht that has proven herself in the Antigua Classic Yacht Regatta. 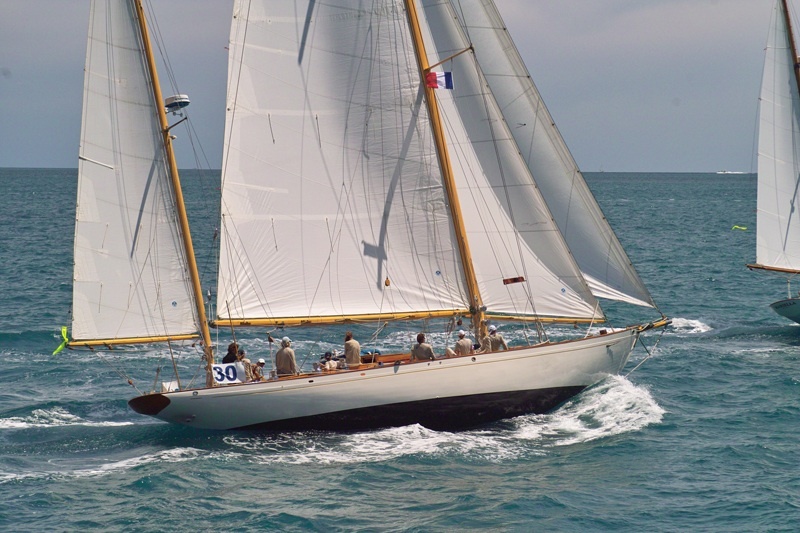 Regates Royales in Cannes, Les Voiles de St Tropez, Vele d’Epoca di Imperia, and Porto Rotondo. 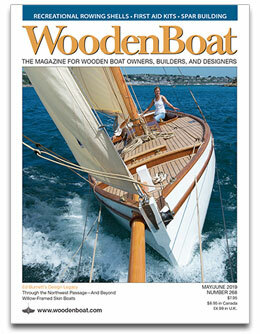 The cabin has off-white painted bulkheads, with varnished mahogany trim. Starting forward is the chain locker, accessed through the forward cabin with an upper/lower V berth with sail storage, hanging locker, drawers below, ventilated with a large sliding hatch and wind scoop. The galley is fore and aft on starboard with a panelled ceiling with Mahogany trim. The port cabin is accessed through a door at the aft end of the galley and has a double berth with two drawers and a hanging locker. The floors are varnished Cherry. The chart table is on starboard with the companionway and hanging locker aft. 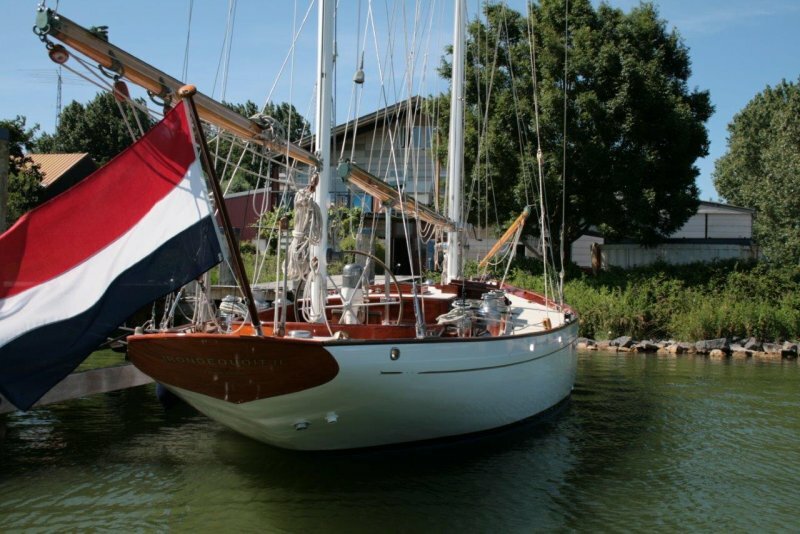 The spacious aft head/shower to port is accessed from the companionway or the aft cabin. IRONDEQUOIT II is a sound and fast passage maker, maintained by professional crew since her re-launch in December 2002.